Thailand is a great introduction to South East Asia. It's a beautiful country with pristine beaches, exotic food and golden temples. However, anyone doing international volunteer work in Thailand will go beyond the country that tourists see and discover incredibly friendly people with a unique culture. Unlike much of Asia, Thailand was never colonised. Consequently, Thai culture and deeply-felt Buddhism are influential throughout the country; even amid the urban bustle and with the push of tourism. Modern Thailand juxtaposes the influence of the West with its many ancient beliefs and is an excellent place to wrap up the Global Gap experience. 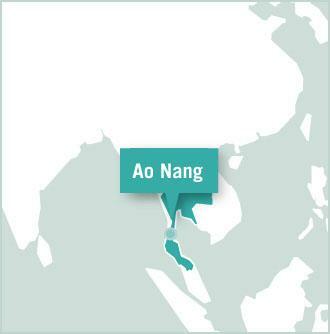 Projects Abroad Thailand is based in Ao Nang and Krabi, a one hour flight south of Bangkok on the Andaman Sea coast. 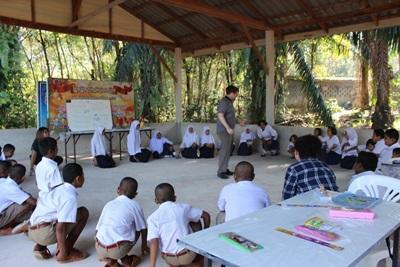 Participants finish their programme as a volunteer on our Diving and Marine Conservation project for four weeks. 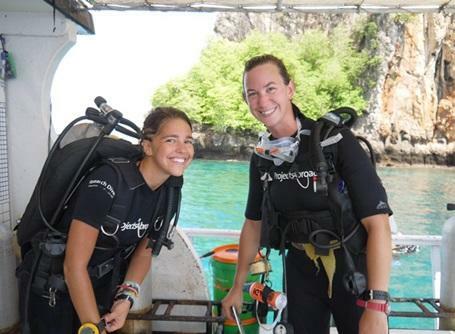 Unless already certified, volunteers initially spend their time becoming certified divers so they can fully participate in the underwater conservation work. In addition to analysing reef damage and fish populations, volunteers help clear reefs of trash on salvage dives. Out of the water, volunteers undertake beach clean-ups, reforestation projects and outreach work with local schools. Volunteers who are already certified divers can begin conservation work immediately without completing the training, or they may take a specialty diving course instead. There are also Teaching and Care work options for volunteers who would like to do volunteer work other than the diving project.